The Lendra wooden ladder is an unconventional coat rack that fits seamlessly into any environment. The simple yet refined wooden design follows the design requirements of the German manufacturer kommod: well thought-out, maximum minimalism and multifunctional. Used as a towel rack in the bathroom, a valet stand in the bedroom or as an alternative coat rack for jackets and bags in the hallway, Lendra is a great eye-catcher that stylishly enhances each space. The irregular rungs are sometimes fixed on the front and other times on the back. The playful and exciting construction also offers shorter pieces in the centre of the ladder, creating versatility and originality. To set Lendra up, simply unpack it and lean it on the wall of your choice, wherever additional hanging space is needed. 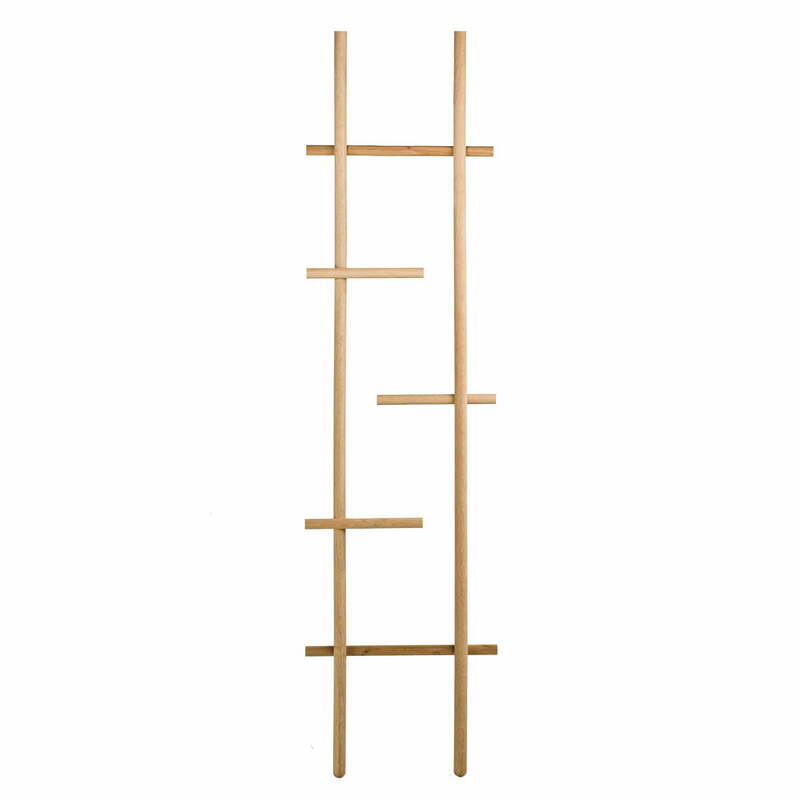 Isolated prodcut image of the kommod - Lendra ladder / leaning coat rack. 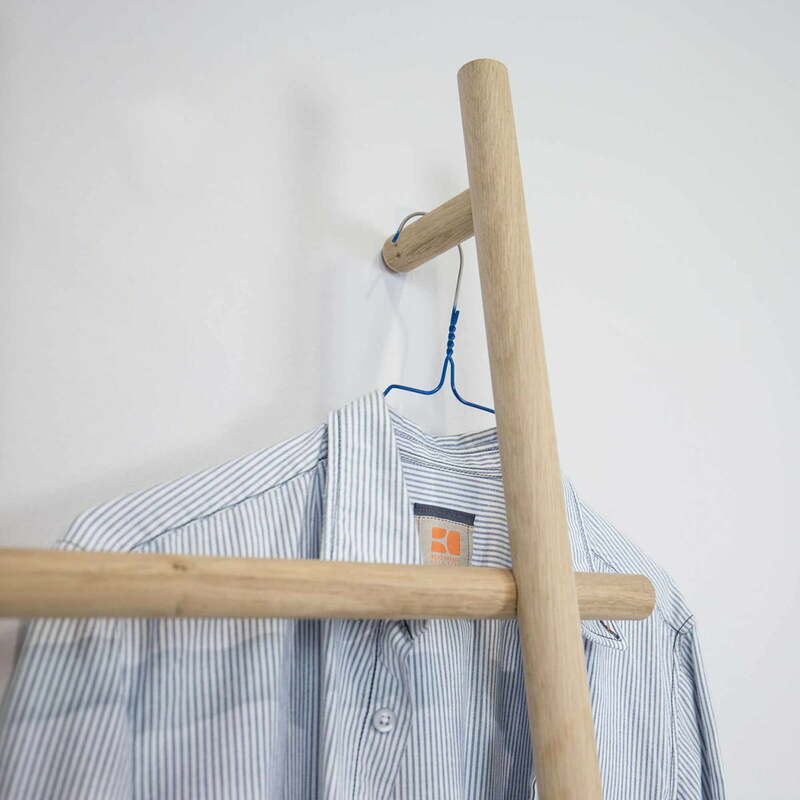 The Lendra wooden ladder by kommod is an unconventional coat rack that can be seamlessly introduced into any environment and can be used as a towel rack, valet stand or a classic coat rack. 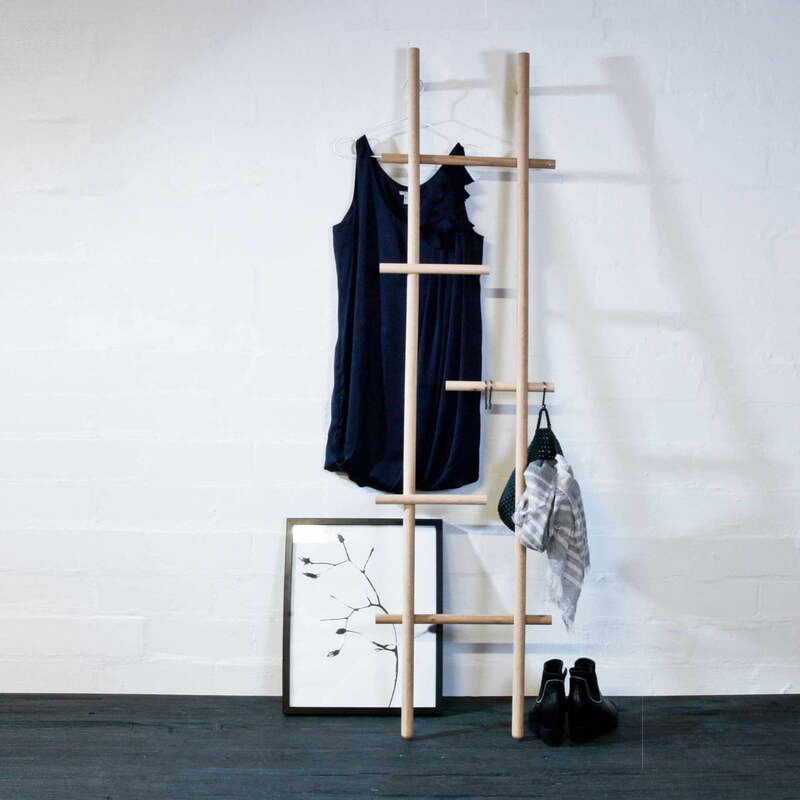 Lifestyle product image of the kommod - Lendra ladder / leaning coat rack. Used as a towel rack in the bathroom, a valet stand in the bedroom or as an alternative coat rack for jackets and bags in the hallway, Lendra is a great great eye-catcher that stylishly enhances each space. Detailed product image of the kommod - Lendra ladder / leaning coat rack. The simple yet refined wooden design follows the design requirements of the German manufacturer kommod: well thought-out, maximum minimalism and multifunctional. Detailed product image of the kommod - Lendra ladder / leaning coat rack. 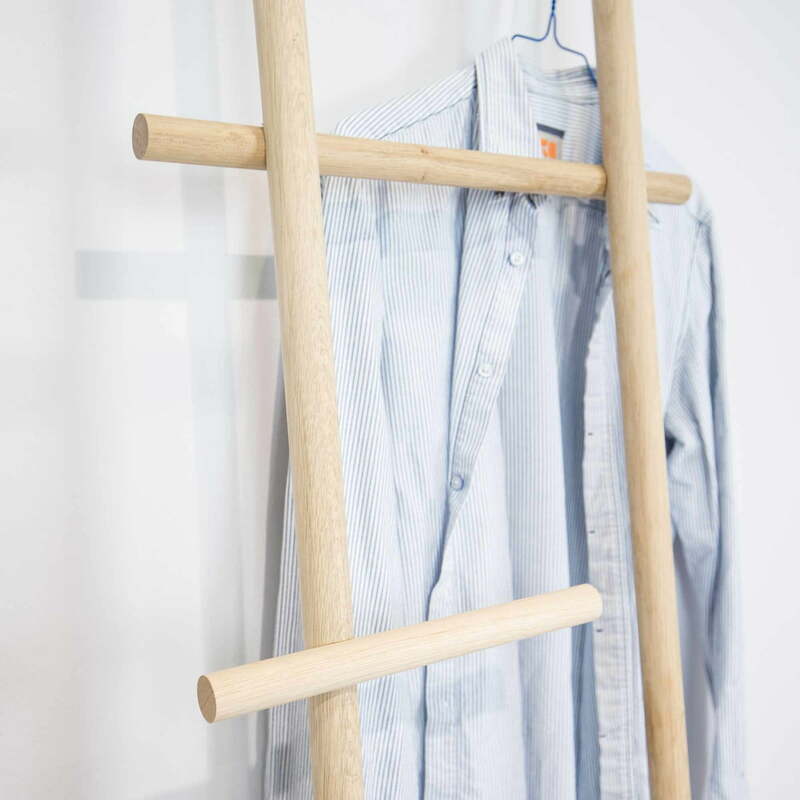 The Lendra wooden ladder is an unconventional coat rack that fits seamlessly into any environment.